FORT MYERS, Fla. -- Police have arrested a Fort Myers father they believe fired a shotgun at two juveniles following a school altercation. 40-year-old Christopher Alcorn is facing one count of Attempted Murder and one count of Aggravated Battery. FORT MYERS, Fla. -- Police have arrested a Fort Myers father they believe fired a shotgun at two juveniles following a school altercation. 40-year-old Christopher Alcorn is facing one count of Attempted Murder and one count of Aggravated Battery. 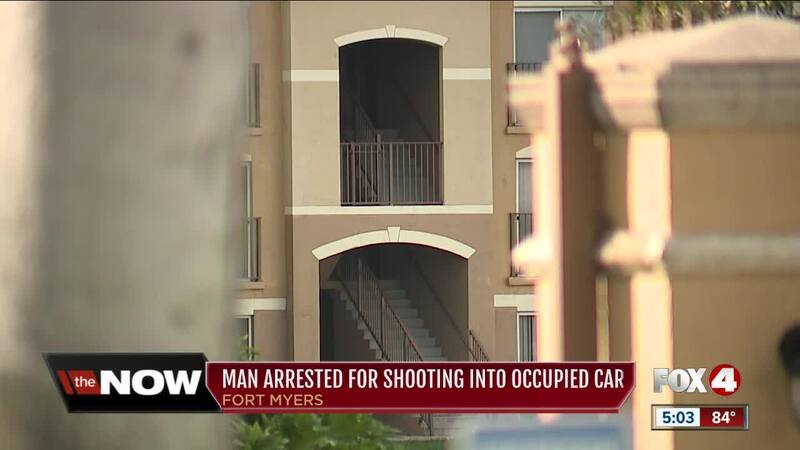 According to Fort Myers Police, witnesses reported seeing Alcorn firing at a vehicle in the Bernwood Trace apartment complex off 6 Mile Cypress Parkway on Sunday afternoon. Police surrounded his apartment and took him into custody. At the same time, a crash happened at the intersection of Colonial Boulevard and Winkler Avenue. Two juvenile males in one of the vehicles told officers that they were shot and were headed to the hospital when the crash happened. One boy had a facial injury from a shotgun blast, and the other was injured by broken glass. Detectives say that those two juveniles had been in an altercation with Alcorn's juvenile son at school last week, and that Alcorn had threatened the two boys with violence. The victims say they went to Bernwood Trace to talk to Alcorn.